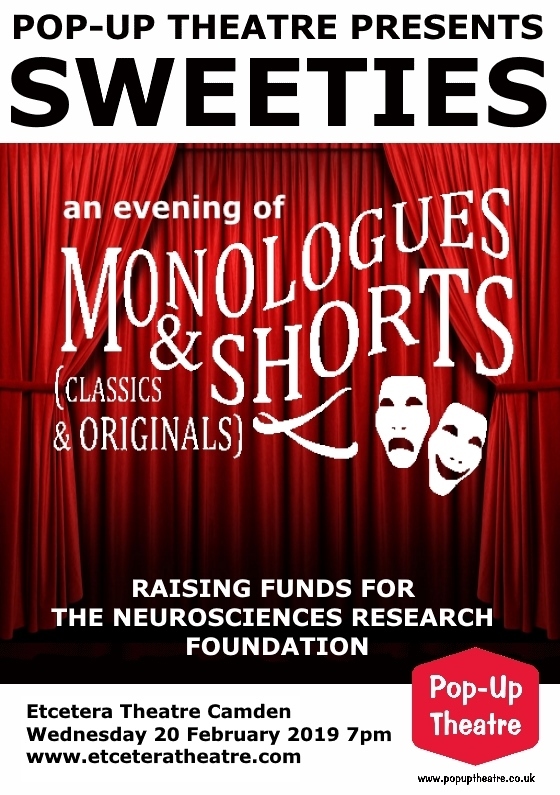 David King‘s Pop Up Theatre is back at the Etcetera on the 20th of February 2019, raising funds for Neurosciences, with Sweeties. 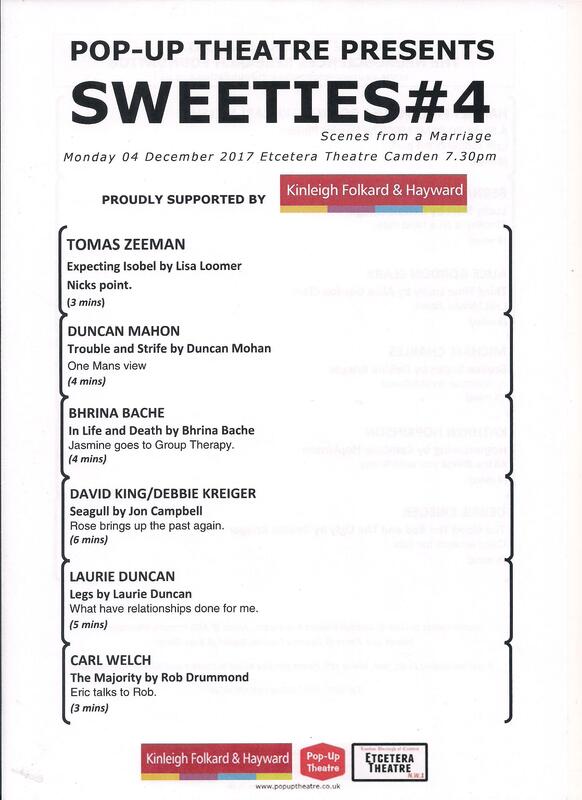 This is the 6th time a selection of monologues and shorts will be performed by a group of talented professional actors sharing and creating fantastic stories promoting new writing, often their own. 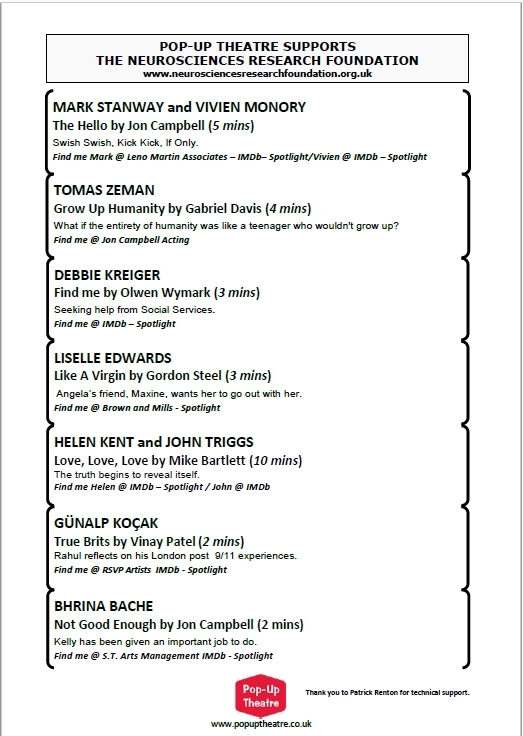 Shorts up to 10 mins, monologues 2-5 mins. Total run time approx 60 minutes. David King is an actor living in London (UK). David is an AVM survivor after suffering a brain haemorrhage in October 2014 and the discovery of a congenital AVM. Acting has played a major part in his recovery and so has the gym! Before Acting, David worked in industry – his earlier career, with American Express in the United Kingdom, where he was one of the first people to design and produce training materials by internal email for their employees in Central and Eastern Europe. David then went on to grow meetings and events for international luxury hotel chains. David has combined his corporate training experience and knowledge with his actors training and experience to share his skills in workshops, blogging, coaching, and public speaking while he continues to build his acting career. In 2018 David recieved 2 monimations for best actor in the short film in A Pinprick Of Light which also won a multitude of awards globally for best drama. This is an extract from Jon Campbells inspiring blog. 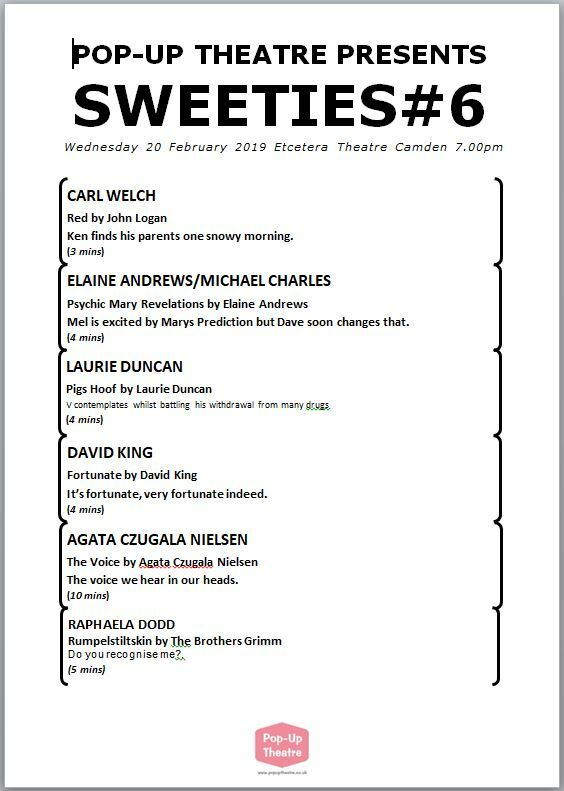 Building on from the success of Acting Exercise at this year’s Camden Fringe2 0126, Actor David King’s Pop Up Theatre Company is putting on an evening of Sweeties – a selection of monologues and shorts scenes. David says ”…one thing that is missing from an actors training is the oppotunity to perform. 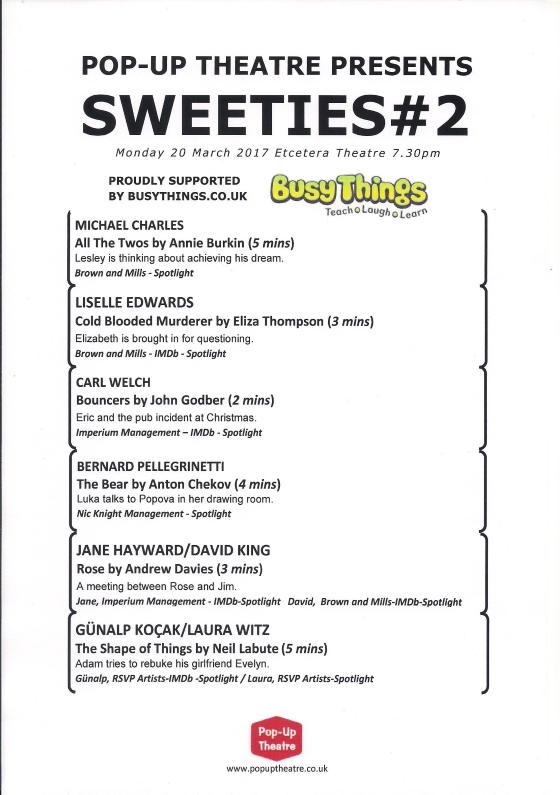 I hope that the actors who are performing in Sweeties will be inspired to go out and create their own performances and opportunities. 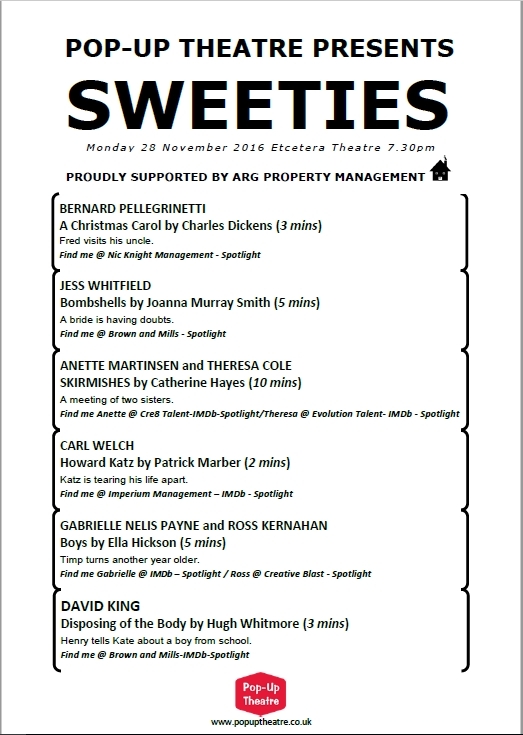 Sweeties Monday 28 November 2016 at the Etcetera Theatre. Camden at 7.30pm. 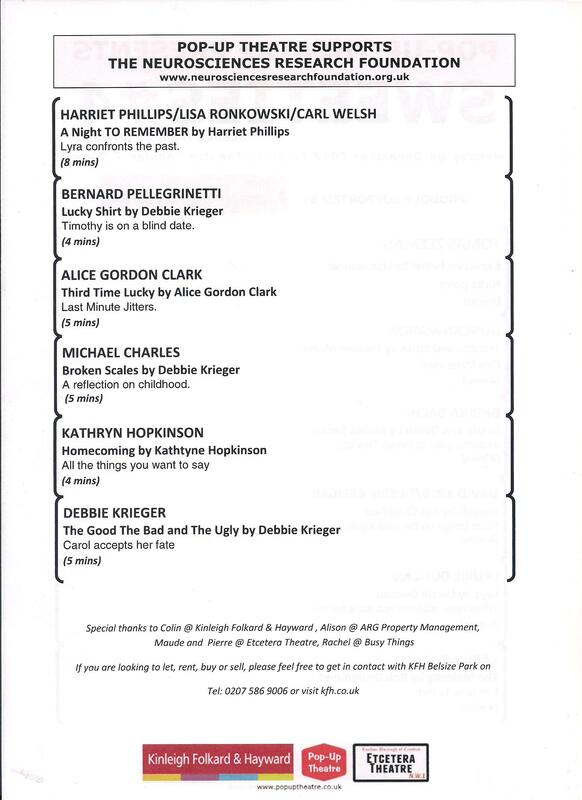 Read David King’s blog Acting After Illness on the Huffimgton Post website. 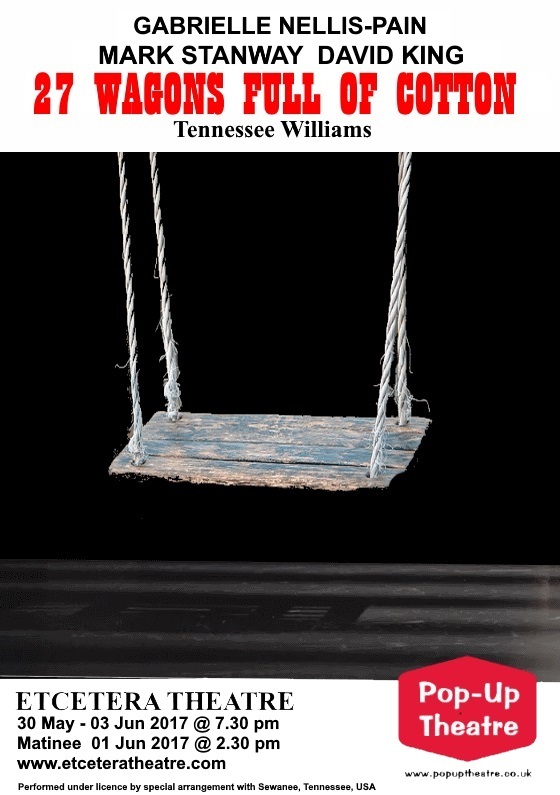 In Steven Pressfield’s , new book on writing, Nobody Wants to Read Your Sh*t , Steven tells us that great scripts have an “All is Lost Moment” – the protagonist’s darkest hour​.​ These ​moments ​ are followed, by a way out. For me, my “All is Lost Moment” happened in October 2014. I was admitted to hospital with a serious neurological condition – a brain haemorrhage, and the discovery of a congenital AVM (Arteriovenous Malformation). After a several months in hospital I began my journey of recovery. Acting really has been my way out. One of the first things I did was to take Barbara Oaley’s MOOC (Massive Open Online Course) Learning How to learn which give me access to invaluable learning techniques and tools. 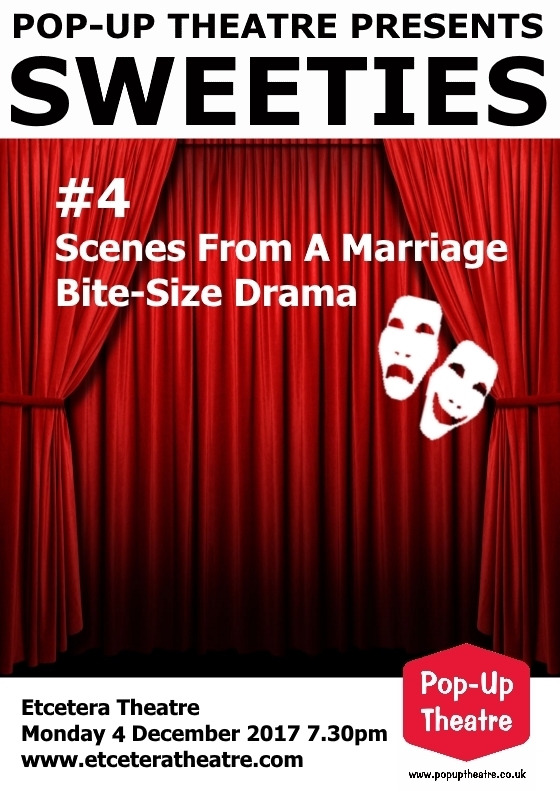 Using the approaches I had learned I​ was able to pick up a script and began to read and learn lines again. To get my performance confidence back I took RADA’s over 24’s Contemporary Scene Study course and progressed to their level 3 Acting course. 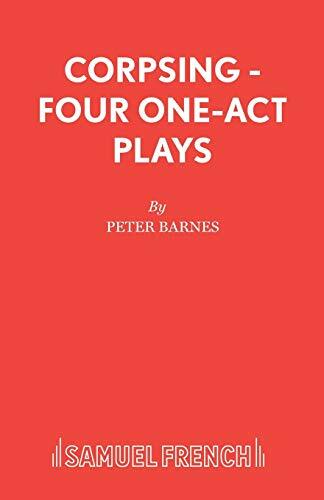 I also did workshops and an intensive advanced acting course with Jon Campbell where I worked on a script by Peter Barnes , Acting Exercise, which I am now taking to the Camden Fringe. 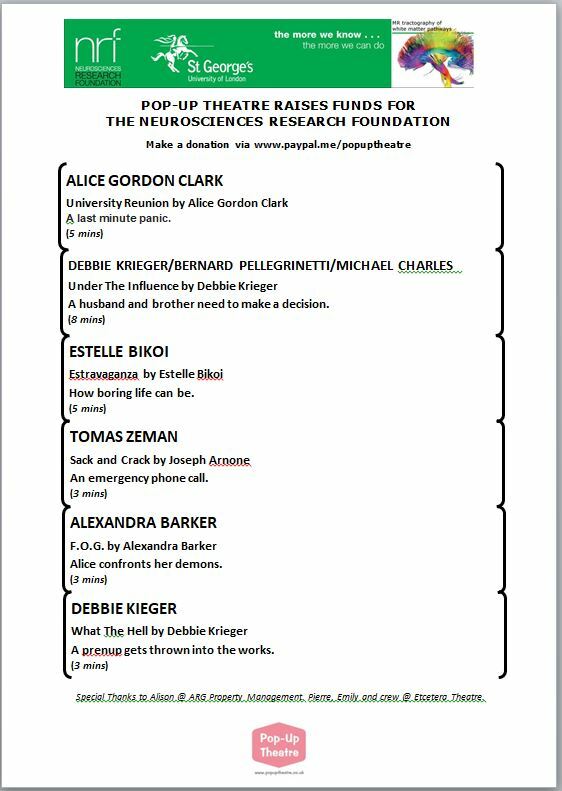 My first public performance after my Brain Injury will be at the Camden Fringe 2016. 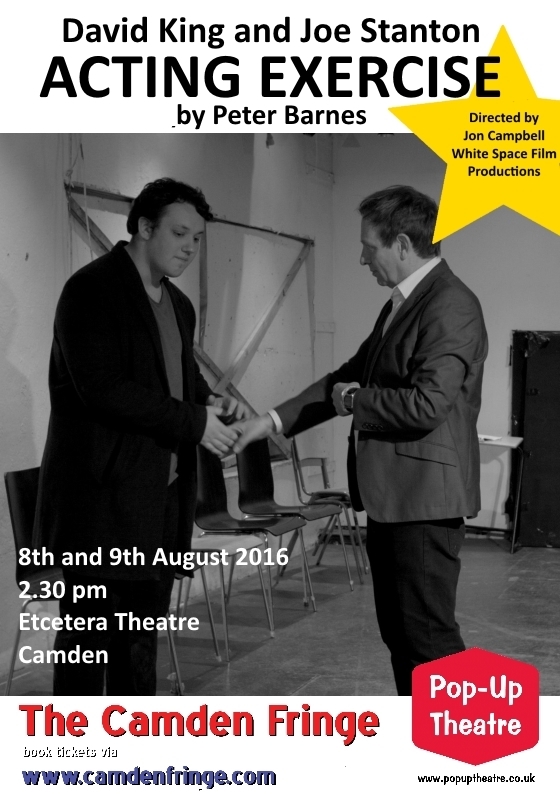 8th and 9th of August at the Ecetera Theatre Camden @ 14.30pm. 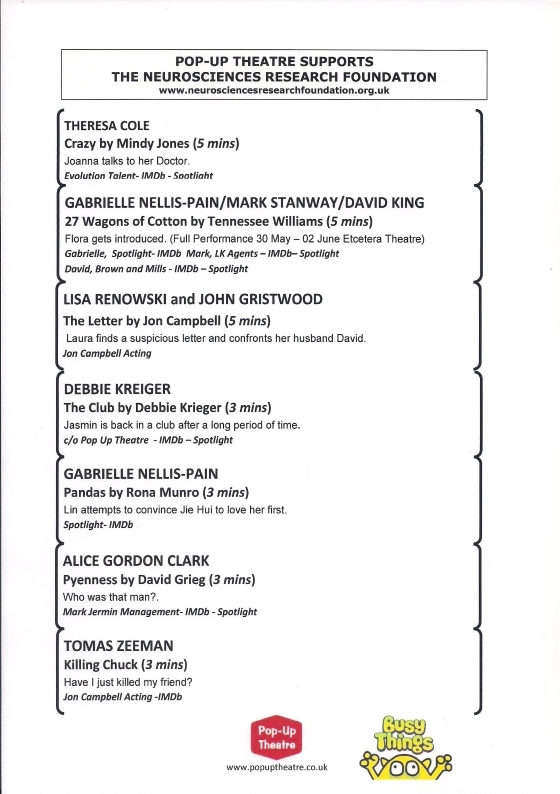 Tickets from the Camden Fringe Website. 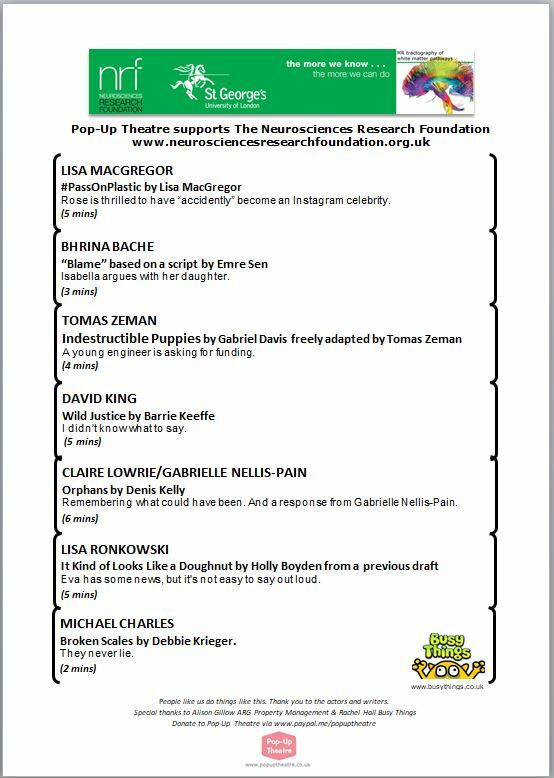 Any profits from ticket sales will go to the Brain and Spinal Research Fund via Mr Francis Johnston. Consultant Neurosurgeon, at St Georges Hospital. Tooting. London.